School Day Hours: 7:50 a.m. through 3:00 p.m.
Extended Day Hours: 6:30 a.m.-5:30 p.m., Monday through Friday, including half days, school in-service days, and school breaks. Location: We are conveniently located just west of I-225 and just south of Colfax on Potomac Street in beautiful Aurora, CO. We are minutes from Buckley Air Force Base, and down the street from the Anschutz Medical Campus. 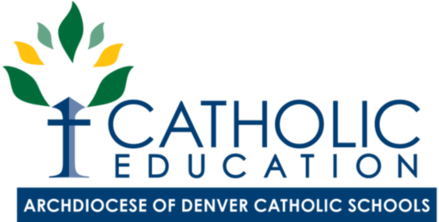 Faith Formation: weekly Mass; class Confession schedule; in-school sacramental preparation for Reconciliation, Eucharist, and Confirmation; opportunities for Adoration; daily prayer; Advent prayer services; community service opportunities; Stations of the Cross; Christmas concert; March for Life Denver.